Feeling stressed out? We've all been there. Whether you have a heavy work load or responsibilities just smacked you in the face, we've all had the occasional "I'm gonna die" moment. Therefore, it's importantly to take time for yourself and unwind from your busy life. 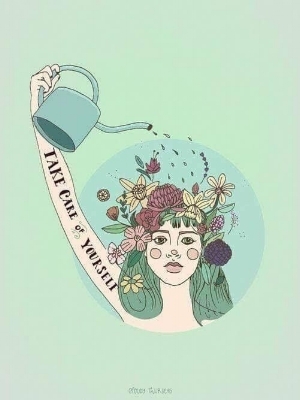 Here are some tips to help you take care of your mind, body and soul. Many people won't intentionally pick up a book just for fun. However, reading is food for the brain and it has magic powers since you feel as though you've been transported to a different universe. When reading, all of your worries are pushed aside and you get to dive into a story you might not want to come out of. You become lost within the story line and dialogue. Just like music, there are many different genres of books on the market, you just have to find what type interests you the most. Also, does anyone else find the smell of a new book satisfying or is that just me? During or after your reading session, taking a hot bubble bath or a steamy shower can really improve your well-being. I don't know about you, but I feel the most at peace when I'm taking a bath and listening to either jazz or classical music. It's the absolute BEST way to relax after a long day and get your heart rate moving a little slower. You could even take your bathing experience to the next level and buy some bath-bombs to further nourish your skin. While chilling in your bath, try closing your eyes and thinking about absolutely nothing, it's harder than it may seem. Lighting some candles can also set the mood for your relaxing night. If someone knows who made this, please let me know!! Ladies and gentlemen, never neglect the skin. There is something extremely comforting in getting into your pajamas and pampering your skin. You kind of feel like you've got your life under control, when we both know that is far from the truth (jk maybe you do have your life in order, but I'm guessing if you're reading this you're wanting a break from your hectic life). Anyways, your skin can always benefit from some extra TLC and pampering it is not an obligation, it's a necessity. Whether it's painting, exercising or playing an instrument, picking up a hobby is a perfect way to unwind and disconnect from reality. Slowly trying something new in your free time can be extremely therapeutic and stimulate your mind in the best way. In fact, adopting a new hobby can lower your blood pressure and reduce cortisol levels. Personally, playing the piano and taking dance classes have helped diminish my stress levels since they're both hobbies that allow me to express myself and get away from reality. Your hobby could even develop into a passion and lead you to places you could have never have imagined. Sometimes we don't realize that we're stretching ourselves thin. We run around like headless chickens when in reality we have to stop ourselves and take a deep breath. Recuperating and relaxing allows our mind, body and soul to rejuvenate and has a better outcome on our well-being then if we're stressed out all day long. Balance is key and finding time for yourself is crucial in living a happy and healthy life.